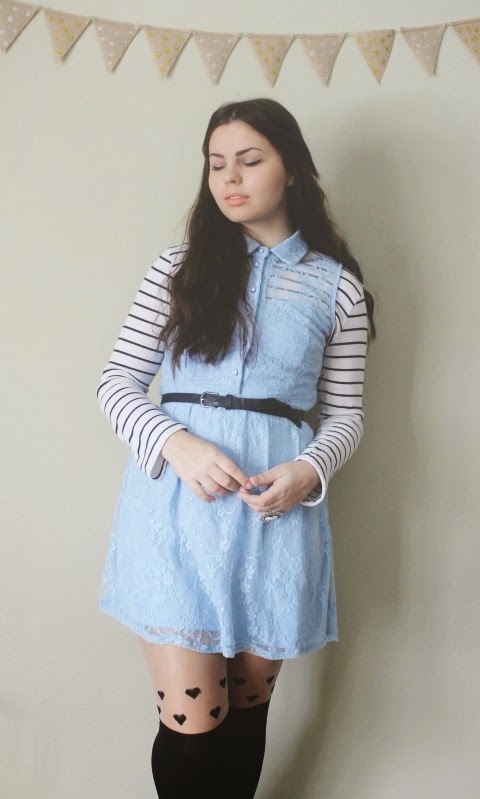 Lace Powder Blue Dress, Black Flats: Thrifted. Lipstick in NYX Soft Matte Lipcream in Buenos Aires. I thrifted this pretty little number this past weekend and am so pleased with it. It's lace perfection in a gorgeous powder blue hue and a darling sweet heart neckline. 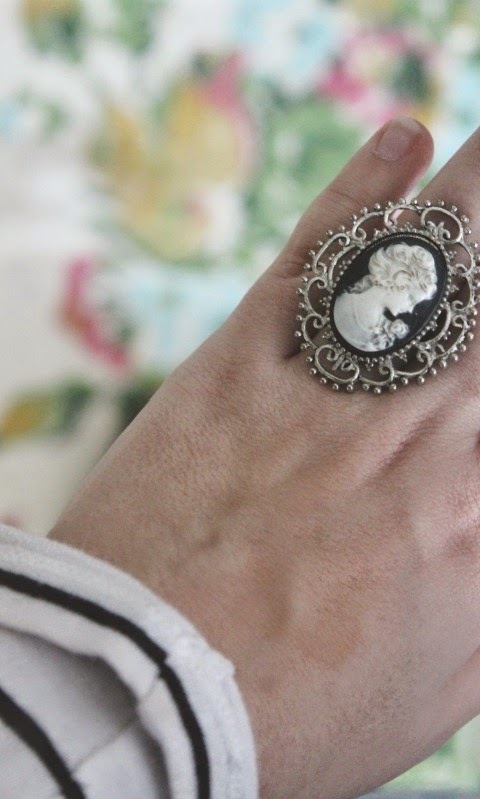 It was originally from Forever21, but I scored it for $3-- gosh, I just love thrifting! 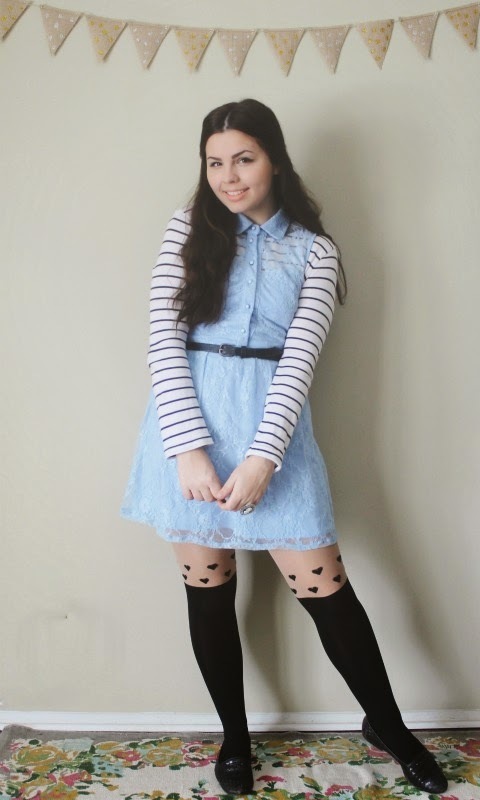 Those heart tights are the cutest and your blue dress was an awesome thrift find. It's amazing the gems you can find for so little money! Love your outfit as always, and I really love the simple background in the photos! That story of the older man witnessing was so encouraging. Love that dress! Also that rug is so perfect, aaand so is your hair, basically just this entire post, let's be honest. 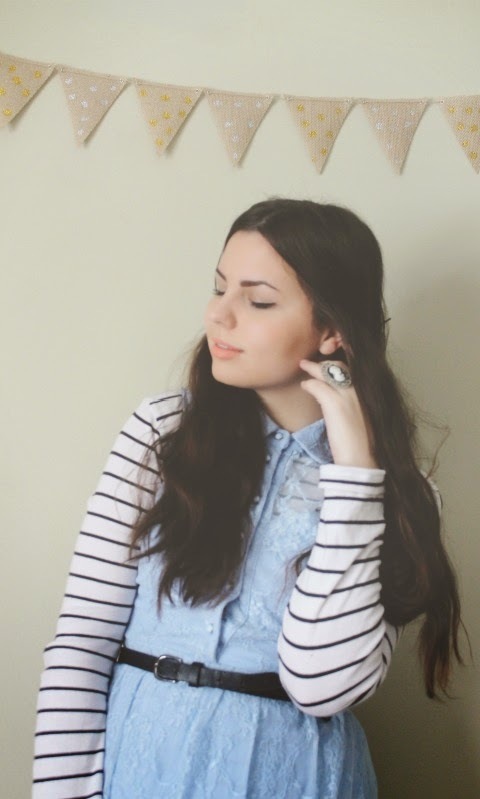 I love this outfit, it is so beautiful! Thrifting really is the best. Your garland is so cute too! Can't believe you thrifted that dress! 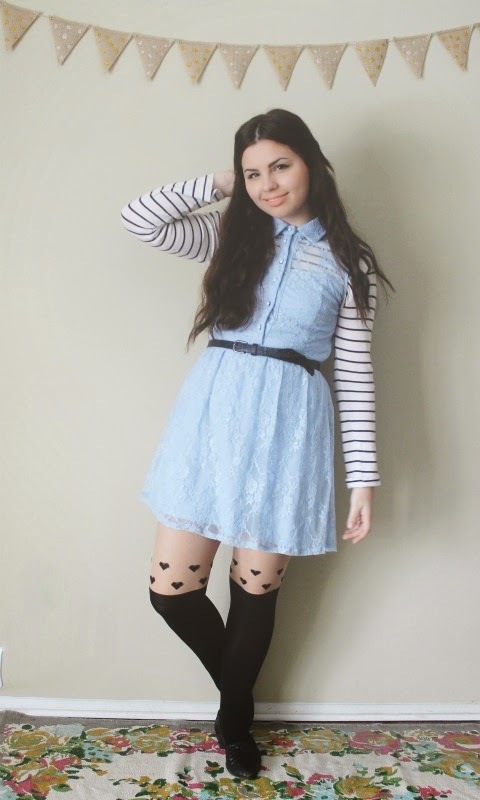 I bought it from F21 for full price! :( And I hardly wear mine bc it's too long on me, so I feel like a nun...lol. Lovely to gain that encouragement! Thanks. I like the simpler background too even though I liked the decals. I adore this outfit! 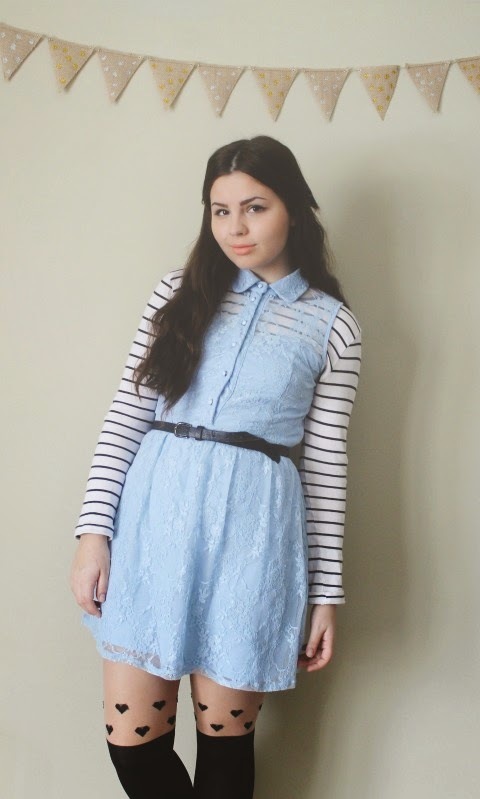 The blue dress is so sweet, thrifting is just the best! 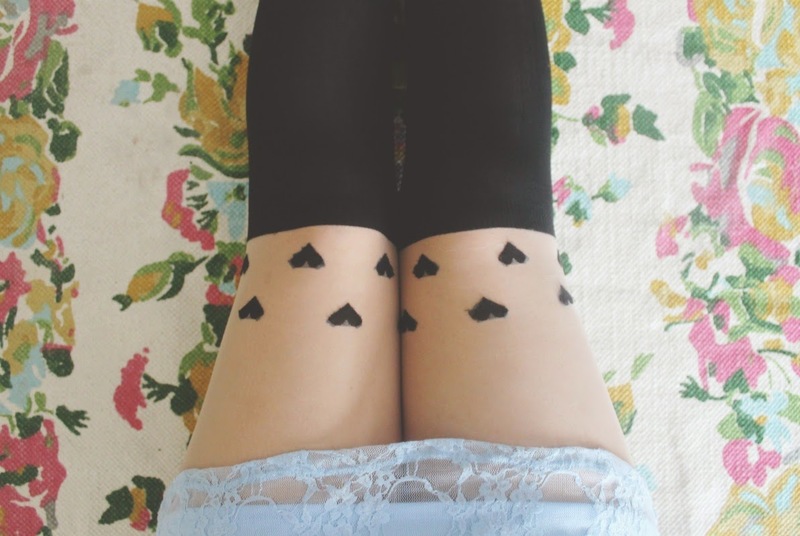 And those heart tights are so cute, every time you wear them I can't get over how cute you look in them!